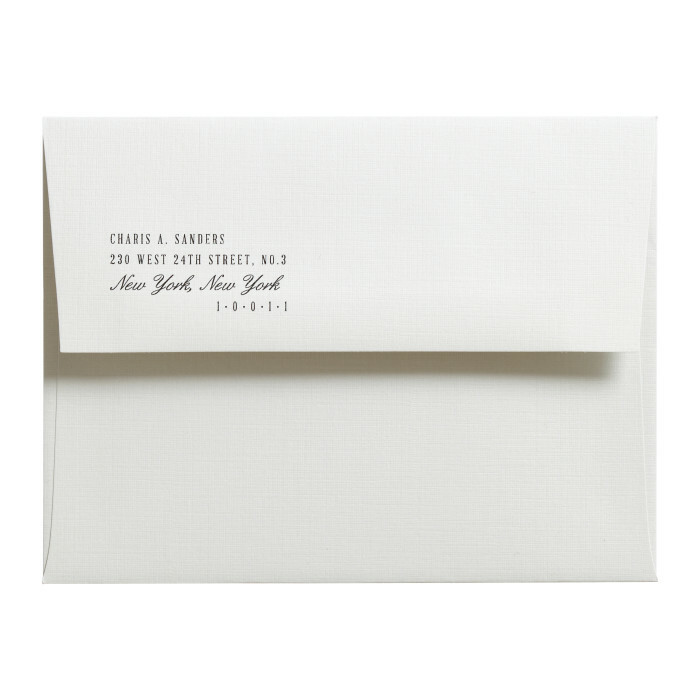 Modern and simple, and following in the vein of the Invitation, the Lincoln Thank You Card Envelope is artfully addressed with a mix of typography in a unique, flowing arrangement. The address is flat printed onto matte envelopes. $805 for 100 one-color letterpress printed, or $423 for 100 flat printed addressed Thank You Card Envelopes.